There is some confusion about this botanical name. Let's explain: Our plant is the Agave asperrima described by Jacobi which, again according to Ullrich's research, is the correct name for the plant commonly found in the Chihuahuan Desert and listed as Agave scabra in Gentry. It is not Agave wislizeni, Agave parryi or Manfreda scabra. 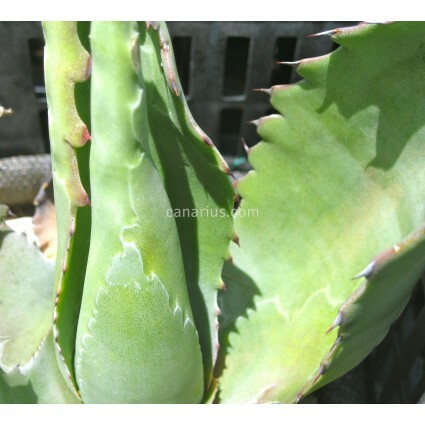 We offer a bare-rooted plant of about 10-20 cm in diameter, grown in a 14 cm pot. Container size will just give you an idea of the size of the plant, because succulent plants are sent with bare roots, as they are very tolerant of bare-rooting. We ship worldwide.